Patients with Hereditary Emphysema can seek Aralast™, a limited distribution drug from America's fastest growing independent specialty pharmacy chain. Benzer Pharmacy today announced that it has been selected as a specialty provider for Aralast™. 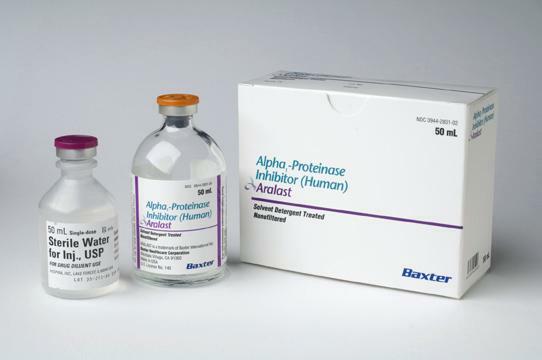 Aralast™, an alpha-1 antitrypsin therapeutic also known as Alpha 1 proteinase inhibitor (A1PI), is used for the treatment of hereditary emphysema. It is made from human blood products to replace the deficient enzyme to reduce emphysema symptoms. “Aralast™ is a limited distribution drug only available to a small network of specialty pharmacies and Benzer Pharmacy is now able to fill this medication,” said Lindsay Wall, Benzer Pharmacy Chief Clinical Officer. Benzer Pharmacy provides specialized pharmacy and related services pursuant to agreements with biotechnology drug manufacturers relating to the treatment of patients with certain costly, chronic diseases. “We provide timely, accurate and confidential dispensing of medications through our specialty pharmacy that is accredited by Utilization Review Accreditation Commission (URAC),” Lindsay added. For more information, including initiating a prescription for use of Aralast™ or for assistance in locating a pharmacy to dispense Aralast™ call: 877-4-BENZER.